When choosing a car to drive, you definitely want to consider even the smallest details, from styling, interior design, aerodynamic qualities, and engine power. This scrutiny is even more emphasized in sports cars as they come with different specification and could get easily monotonous. However, regardless of your personality or where you want to go, it is safe to say that the Porsche 911 Turbo S is the car that you want to drive. 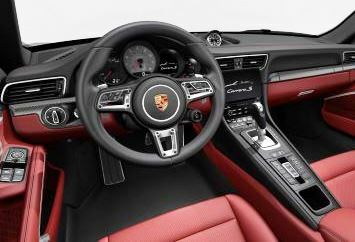 The first impressive feature about the Porsche 911 Turbo S is the design and body styling. It is apparent that it clearly takes after its roots while adding iconic developments that will definitely set the pace for newer generations of cars to follow. It is sporty, sleek and timeless and features a wide and sturdy base that only goes to emphasize the evolutionary status of this machine. Aside standing on magnificent looking 20 inch alloy wheels, the 911 is available in two different engine variants that allows you to take your pick. Its base 6 cylinder, 3.0 liter engine produces 370 hp and 500 hp in the S model. These engines are both turbocharged and execute their purpose with much dexterity. When it comes to comfort and handling, you can be rest assured that the car doesn’t disappoint either. It is specifically designed to eliminate unnecessary bulk and focus more on light weight constructions. This goes to greatly improve its driving dynamics and allows you to experience more agility during drive time. This makes it the lightest sports car in its category putting its well ahead of its pairs in both performance and reputation.